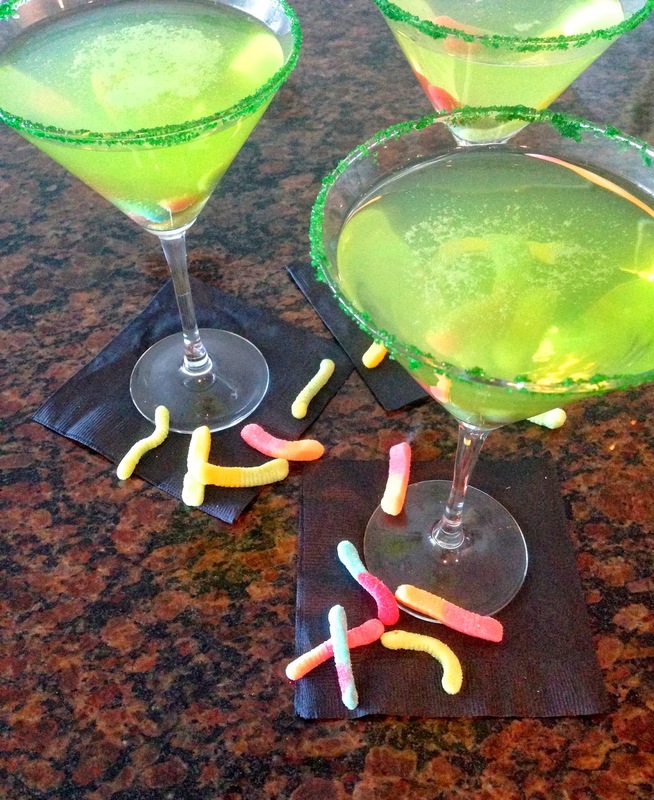 This witches brew concoction is spooktastic and sure to frighten and delight your guests! 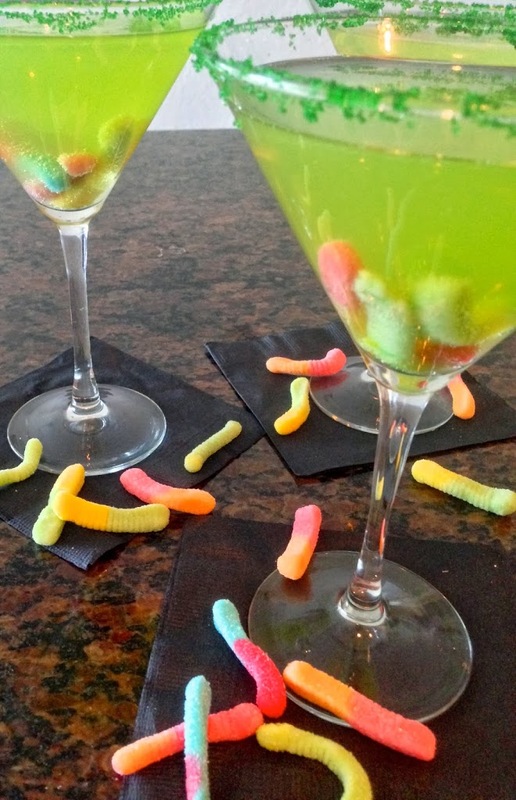 A green cocktail, filled with sour worms and rimmed with green sugar, is the perfect cocktail to serve at your upcoming Halloween party. 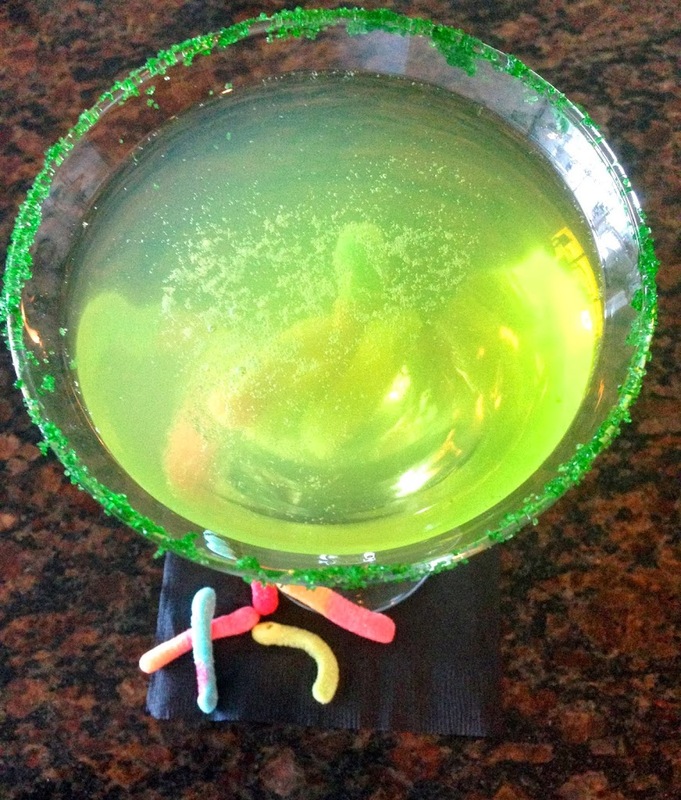 This brightly colored potion looks like witches slime, yet tastes sweet and refreshing,thanks to sugar and lemon-lime soda. In a cocktail shaker filled with ice, combine vodka, schnapps, lemonade and lemon-lime soda. Cover and shake. Dip rim edge of martini glasses in a shallow dish with 1/4-inch water, then in a shallow dish with 1/4-inch of green sugar. 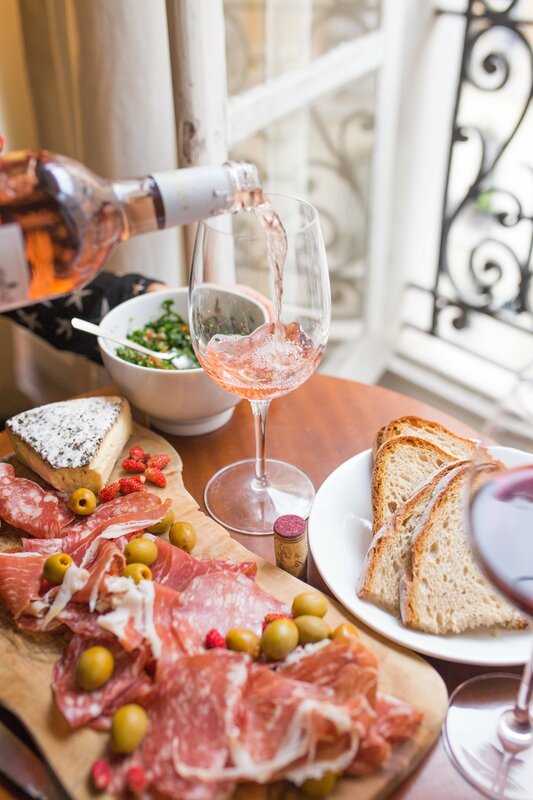 Pour shaken mixture into glass. 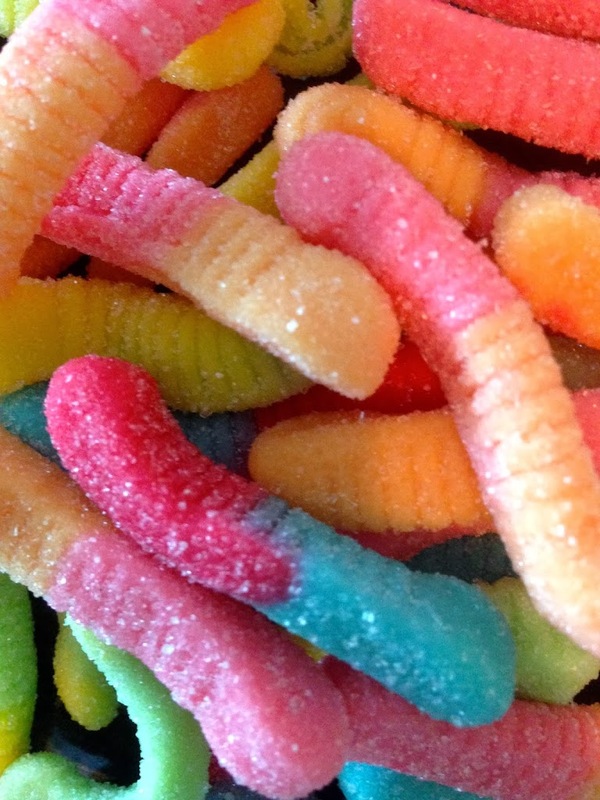 Place five sour gummy worms in glass.